As a charity we are governed by a group of Trustees who lend us their support and expertise. We thank all our Trustees for their generous support. 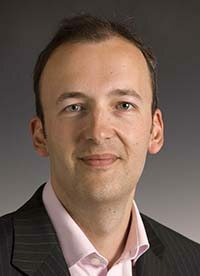 Julian is the Chief Executive of the Society of London Theatre and Theatrical Management Association. He also acts as the Executive Producer of the Olivier Awards, the UK’s main annual theatre awards ceremony. Steve Williams was recently Chief Legal Officer and Group Secretary of Unilever, Steve remains Special Counsel. He is Senior Independent Director of Whitbread PLC, and a Director of Croda International PLC. He is also currently interim Chairman of Arts & Business, has overseen the redevelopment of Unilever House, the development of the Unilever art collection and the major sponsorship of Tate Modern. Steve lives in London. Sean Albuquerque is an architect with his own practice in the south east. He was previously Chairman of the RIBA South East and is currently advising the Pavilion on its exhibition celebrating 175 years of the RIBA. He lives at Bentley Wood in East Sussex, the house designed by Serge Chermayeff. Ainsley Gill is a director of McPhersons Chartered Accountants, a leading, long established local business. He has many years of experience in working with owner-managed businesses of different sizes and in a wide range of sectors including the leisure, tourism and hospitality. 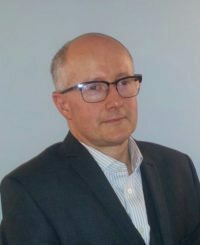 He has served for several years as President of Bexhill Chamber of Commerce and Tourism, is a past chairman of Battle Round Table, has been a local school governor and sits on the load panel for Let’s do Business Finance. He is delighted to be part of the team of Trustees at the De La Warr Pavilion. Jo Townshend was formerly Principal of Rye’s innovative Studio School. 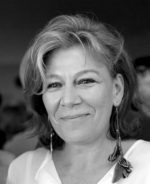 Jo is known within the community for her partnership work with local schools, colleges and businesses as well as for her work in the arts world in and around Rye. Originally from Tenterden, Kent; Jo studied at Highworth School for Girls in Ashford before specialising in Fine Art Painting, gaining a Masters Degree at the Royal Academy of Arts, London. Judith West works part time for English National Opera and was Director of Operations and Resources at the National Portrait Gallery. She is also a non-executive Director of the Enterprises Board of Dulwich Picture Gallery. Professor Lawrence Zeegen is Dean of Design at Ravensbourne. Zeegen’s professional design / illustration clients include major international newspapers, magazines, book publishers, design and advertising agencies spanning over 1000 commissions across 25 years. He is Vice President of ico-D, the International Council for Design Associations and is a Trustee of D&AD, as well as Education Advisor to the Design Council’s Sounding Board, a member of the Exhibition Committee at the House of Illustration and a Fellow of the Royal Society of Arts. Zeegen is author of six published books on contemporary illustration including Ladybird by Design and was co-curator of Ladybird by Design at the De La Warr Pavilion in 2015. Sally-Ann Hart is a Rother District Councillor for Eastern Rother Ward and is the portfolio holder for Tourism, Culture and Public Realm. Cllr. Brian Kentfield Is a Rother District Conservative Councillor for Kewhurst Ward, Bexhill and is Chair of the Rother District Planning Committee. The Rt. Hon Gregory Barker was the longest serving UK energy minister for a generation, serving as Minister of State for Energy & Climate Change from 2010 to 2014. He presided over the largest ever expansion of UK clean energy, seeing the percentage of renewable electricity on the grid rise from 6% to 18%. Greg represented the UK at all major International Climate negotiations between 2010 & 2014 and took a lead international role mobilising private climate finance for developing countries. After Greg stood down from Government in July 2014, he was appointed the Prime Minister’s envoy on Climate Change but relinquished this formal role ahead of leaving the House of Commons in March 2015 to re-join the private sector. He now serves on the board of, and advises several major companies both at home and abroad. Greg was appointed chair of the London Sustainable Development Commission by Boris Johnson in January 2015 and also joined the London Infrastructure Delivery Board. He is a trustee of the Climate Group and a member of the board of De La Warr Pavilion. In recognition of his contribution to the UK Solar Industry, Greg was appointed honorary president of the British Photovoltaic Association (BPVA) in May 2015. 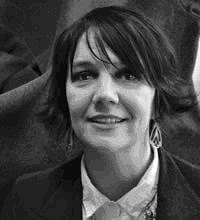 Kate Adams MBE is a visual artist and co-founder and director of Project Art Works, the Hastings-based arts organisation that explores and promotes new, practical and philosophical approaches to the meaningful involvement in visual art of people who have complex impairments. Their work embraces the services, professionals and processes that surround people who require support in all areas of their lives. Project Art Works initiates responsive, collaborative projects with artists, galleries, psychologists, children and adults who have severe neurological impairment and their families. Kate’s experience as the mother of a man with complex needs is central to the organisation’s informed approach. Their practice requires a high degree of knowledge and sensitivity to the ethical issues arising from the inclusion of people who cannot knowingly consent to their involvement in art and culture.